Nothing is more important, or will play a bigger role in determining the success of your new startup, than getting the “right people on the bus”1 when you assemble a team. A company of one is unlikely to be successful. The first step will be to decide whether you will partner with a cofounder or lead the team alone. You then must hire team members with the necessary skills to build the business foundation and get your product to market. Your first hires will need to be positioned for core business functions (eg, management, bookkeeping and accounting, sales, human resources) to get the company off the ground. Starting a company is hard, so your first decision is whether you want to forge forward alone or find a cofounder(s) (ie, a partner(s) who will share the load of the company, typically in exchange for capital or equity). Choosing someone for this role whom you know well, like, and trust is imperative because sailing rough waters with someone you do not enjoy and respect is no fun. Choose the right person wisely and carefully because you may not get a second chance. Think about building your company as building a house. Consider the first few people as the load-bearing walls and floors of your new house and therefore critical key players who will form the company’s foundation. Just as you would not construct a house without a good set of plans, you need a clear picture of the kind of company and leadership style you want, and the culture you want to create. Define your core values and ethics before you hire anyone so when people join the team they know what they are helping to build. Not everyone is cut out to work for a start-up. You will need people with an entrepreneurial spirit who want to carve out their own road map, who will thrive in situations in which they need to quickly identify problems and find solutions, need minimal supervision, and make more good decisions than bad. One of my team members routinely says, “I have no idea what is going on here,” which sums up the often-chaotic scene at a start-up where a motivated few are working to get a lot done very quickly. That is another reason a detailed plan is key. How do you make your start-up culture a success like Google? 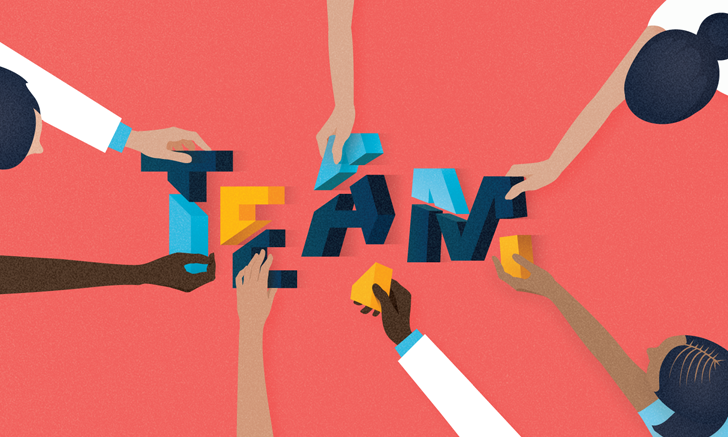 Creating an awesome team culture is a challenge for every business. It helps to imagine your business with 10 employees, then 20, then 100. How do you want the team members to perform and interact with each other, and with customers? How will you support and encourage your team? What type of leadership and coaching style will you embrace? How will you hold yourself and your team accountable? Knowing these answers early on will help shape decisions that will hopefully someday get your company on the top of Fortune Magazine’s “Best Companies to Work For” list. When everyone in the company knows the reason for their hard work and believes they are making a difference, they will feel motivated and powerful. When individual team members feel trusted, the feeling spreads to the whole team. Empowering the team with knowledge about growth, financials, and company plans will spark productivity and job satisfaction and, in turn, result in team member retention and company growth. The longer you can stay small, the better. The larger the team, the more issues and costs (eg, higher cash flow, culture clashes, general tension); however, as you grow, you will need to start hiring. When you do, take time to find and interview what my mentor taught me to call SWANs (ie, Smart, Work Ethic, Aptitude, Nice candidates). These hires are especially important for start-ups because they will ultimately set the company tone and define the team culture. When a potential SWAN has been identified, try, if possible, to hire him or her as an independent contractor for a specific project for 1 to 3 months. The “dating period” will allow both you and the potential hire to make sure you are a good fit for the team and the company. No matter how carefully you hire, eventually someone will need to be fired, and that is the job of the founder. It only takes one bad apple to spoil everything, so fire fast. In the author’s many years of experience managing a veterinary practice, when the time comes to fire a team member, you must “rip it off like a band-aid” and keep moving forward. Building the right team is paramount for a start-up’s success. When you assemble the right people at the right time and create a winning culture, your bus and everyone on it will be on the highway to success. The next step in veterinary entrepreneurship is building a brand. How do you want people to see and interact with your company? Read Veterinary Entrepreneur Part 5: Building Your Company Brand. Author’s note: Even though this article was written with the start-up in mind, the same concepts apply when building a team for a veterinary practice. Collins J. First Who—Get the Right People on the Bus. Good to Great. https://www.jimcollins.com/article_topics/articles/good-to-great.html. Published October 2001. Accessed May 2018. 100 Best Companies to Work For. Fortune Magazine. http://fortune.com/best-companies/2017/google/. Published 2017. Accessed May 2018. McCracken H. How Gmail happened: The inside story of its launch 10 years ago. Time. http://time.com/43263/gmail-10th-anniversary. Published April 1, 2014. Accessed May 2018. Shontell A, Ranj B. 10 insanely successful cofounders and why their partnerships worked. Business Insider. http://www.businessinsider.com/10-successful-cofounders-and-why-their-partnerships-worked/#larry-page-and-sergey-brin-2. Published January 21, 2016. Accessed May 2018. Haft R. Successful Solo Founders. Medium. https://medium.com/@haftrm/successful-solo-founders-5c7f60ef6a0e. Published July 26, 2017. Accessed May 2018. Shontell A. 10 Super Successful Cofounders and Why Their Partnerships Worked. Business Insider. http://www.businessinsider.com/10-successful-cofounders-and-why-their-partnerships-worked/#ben-cohen-and-jerry-greenfield-6. Published June 4, 2011. Accessed May 2018.